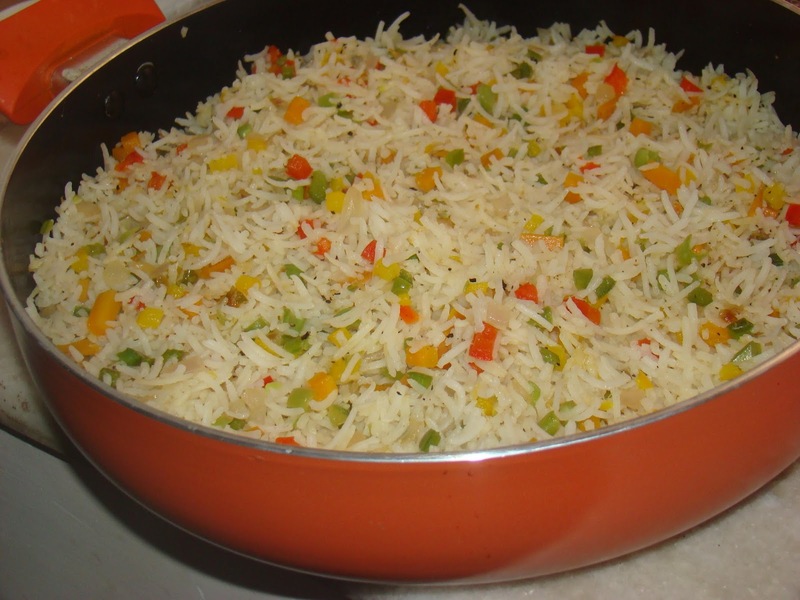 This is an Indian version of the popular Chinese fried rice. I have used Basmati rice and used only a little oil. 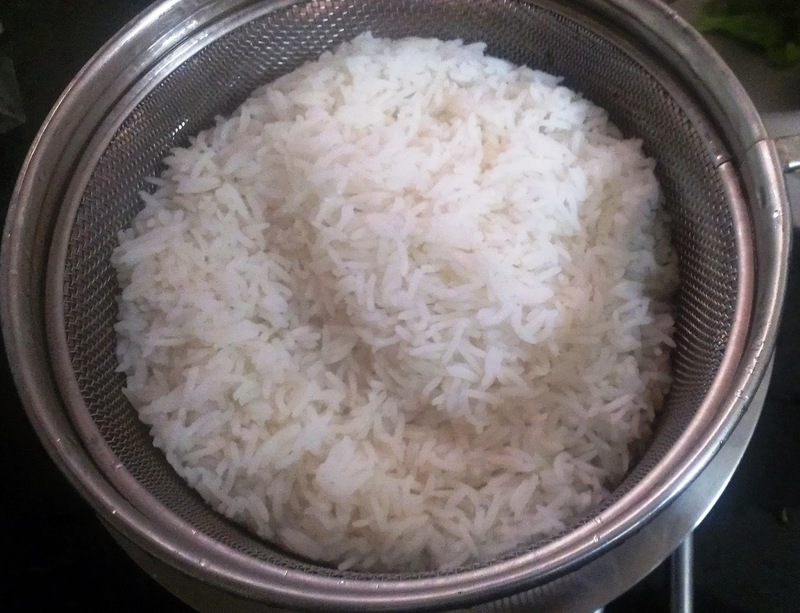 The original fried rice recipe usually requires a lot of oil. Serve this with "Chilli Vegetable Gravy". 1. 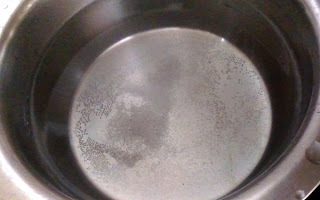 Boil 4 cups of water with salt and tsp of oil in the water. 2. Add the rice and cook till rice is 90% cooked. 3. Drain the water and keep the cooked rice aside. 4. Heat oil, add onions and fry till they turn translucent, add a bit of salt at this stage. Add other vegetables/capsicum and stir fry on high flame. 5. 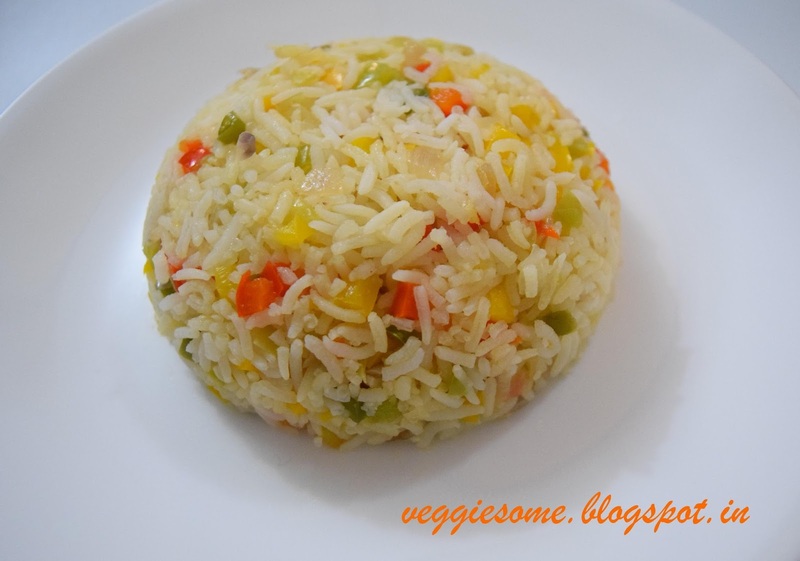 Once the vegetables are glossy, add the rice salt, pepper and mix well. 1.Do not overcook the vegetables. 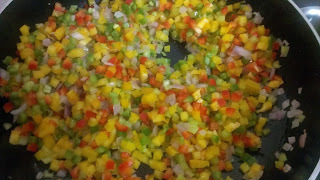 2.The vegetables should be finely chopped. 3.You can add spring onion greens in the end. 1. You can prepare this with any other medium or long grain rice variety. 2.You can add ginger garlic paste with the onions. 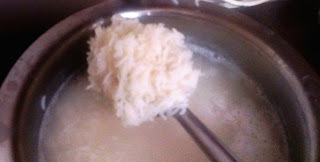 3.You can add a tsp of soya sauce in the end.